Approaching the second half of the century, the United States is likely to experience increases in the number of days with extreme heat, the frequency and duration of heat waves, and the length of the growing season. In response, it is anticipated that agricultural and ecological needs will increase the demand on already-strained natural resources like water and energy. University of Illinois researchers have developed new, high-resolution climate models that may help policymakers mitigate these effects at a local level. In a paper published in the journal Earth's Future, atmospheric sciences professor Donald Wuebbles, graduate student Zach Zobel and Argonne National Laboratory scientists Jiali Wang and Rao Kotamarthi demonstrate how increased-resolution modeling can improve future climate projections. Many climate models use a spatial resolution of hundreds of kilometers. This approach is suitable for global-scale models that run for centuries into the future, but they fail to capture small-scale land and weather features that influence local atmospheric events, the researchers said. "Our new models work at a spatial resolution of 12 km, allowing us to examine localized changes in the climate system across the continental U.S.," Wuebbles said. "It is the difference between being able to resolve something as small as Champaign County versus the entire state of Illinois -- it's a big improvement." The study looked at two different future greenhouse gas output projections -- one "business as usual" scenario where fossil fuel consumption remains on its current trajectory and one that implies a significant reduction in consumption by the end of the century. The group generated data for two decade-long projections (2045-54 and 2085-94) and compared them with historical data (1995-2004) for context. "One of the most alarming findings in our business-as-usual projection shows that by late-century the southeastern U.S. will experience maximum summer temperatures every other day that used to occur only once every 20 days," Zobel said. Although not as severe, other regions of the country are also expected to experience significant changes in temperature. "The Midwest could see large unusual heat events, like the 1995 Chicago heat wave, which killed more than 800 people, become more common and perhaps even occur as many as five times per year by the end of the century," Wuebbles said. "Heat waves increase the mortality rate within the Midwest and the Northeast because people in these densely populated regions are not accustomed to coping with that kind of heat that frequently." The extreme temperatures and extended duration of the warmer season will likely take a significant toll on crops and the ecosystem, the researchers said. Areas like the American West, which is already grappling for limited water resources, could witness much shorter frost seasons at high elevations, leading to a smaller surge in spring meltwater than what is needed for the early growing season. "The high resolution of our models can capture regional climate variables caused by local landforms like mountains, valleys and bodies of water," Zobel said. "That will allow policymakers to tailor response actions in a very localized way." 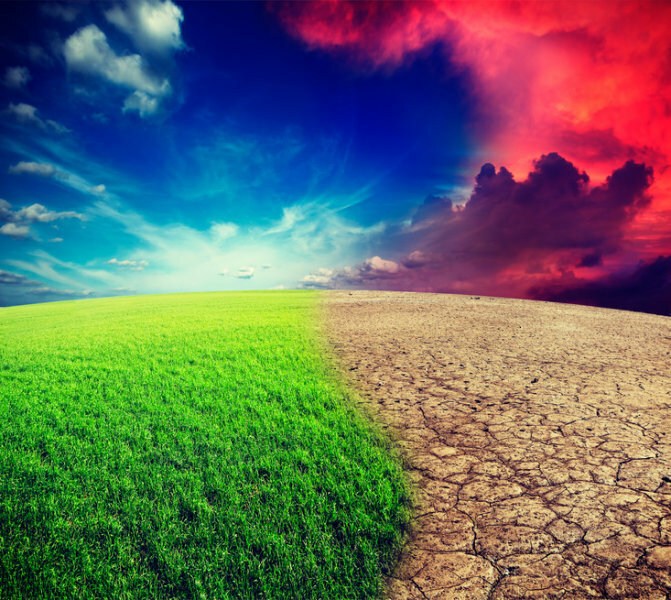 The new models concentrate on temperature and do not factor in the effect that regional precipitation patterns will have on the impact of the anticipated climate changes. The researchers plan to extend their study to account for these additional variables. "The concept of global climate change can be somewhat abstract, and people want to know how these projected changes are going to affect them, in their community," Wuebbles said. "Our models are helping answer those questions, and that is what separates our work from the larger, global-scale studies." Story Source: provided by University of Illinois at Urbana-Champaign. Original written by Lois Yoksoulian.